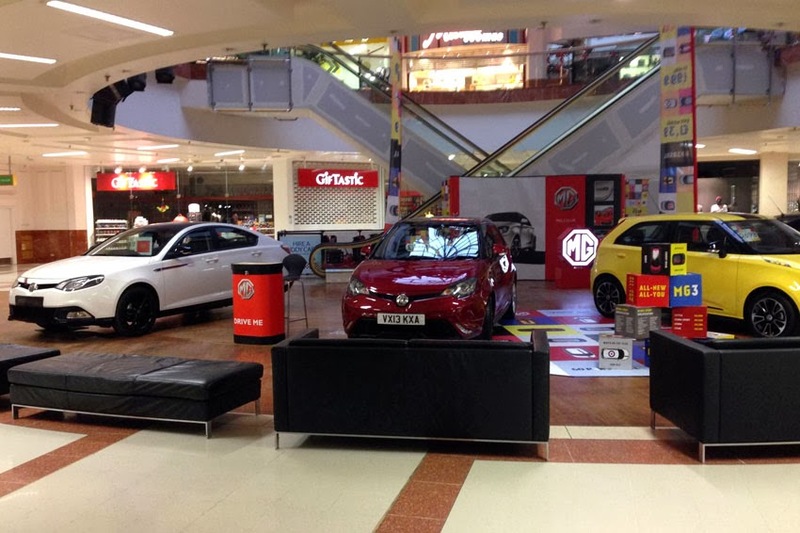 MG Motor announced a year-long pop-up dealership residency at one of the UK's most successful shopping centres, Westfield Merry Hill. with a year-long presence throughout 2014, the historic marque's 90th anniversary year. "The partnership with Westfield Merry Hill provides a fantastic opportunity for two iconic Midlands Brands to continue to work together following the great success we enjoyed at the centre at the end of 2013," said Sam Burton, MG Head of Sales. Westfield Director of Operations, Bill Giouroukos added, "Westfield is delighted that such an Iconic UK brand has chosen to partner with Westfield at our Merry Hill centre to launch a new and dynamic sales platform for their exciting range of cars. Westfield has changed the concept of the pop up - where once they were short term take overs of unused spaces, Westfield is now hosting high profile brands such as MG in state of the art units for whole seasons or even longer."